Food shopping is one expense that we all have. Everyone needs food to live. This means that there is a big scope, for most people, to save money on your food shopping. I’m a big fan of cutting back and in 2015 I was able to feed the two of us, all year, for £1200! This is without compromising on quality meat and enjoying a few nice treats along the way! 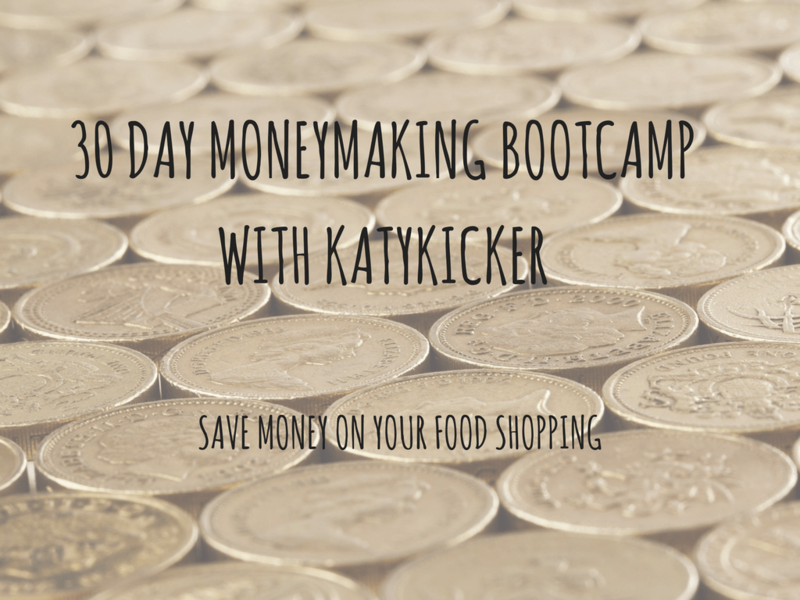 Today I am going to share with you my favourite tips to help you save money on your food shopping. Brands rely on customers to remain loyal. Brands are not worried about raising their prices, at least the majority aren’t. Product prices are often raised at Christmas time, for example, and packaging gets smaller and smaller every year to hide price increases per 100g/100ml. Be sure not to be loyal to a brand. Try a new brand at least once a week. Look for something cheaper. Consider using an alternative store cupboard ingredient. 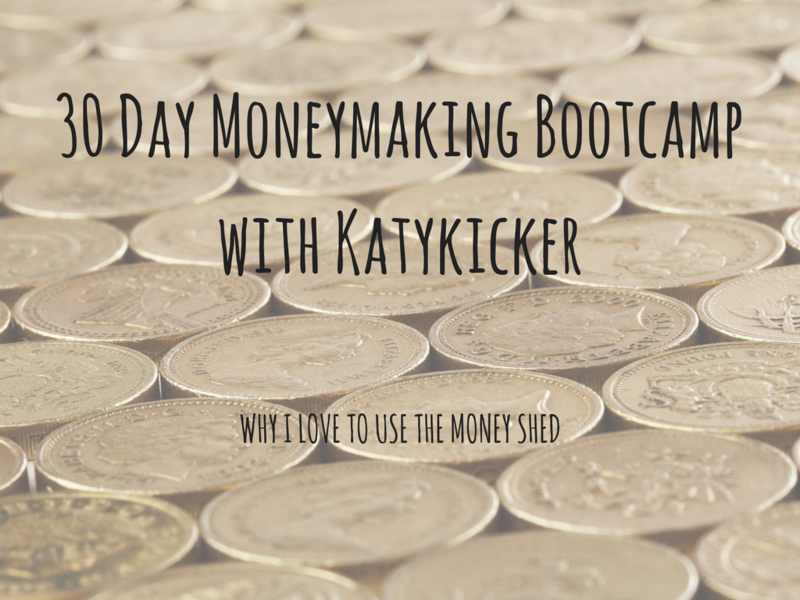 I used to find that my husband wouldn’t even notice – despite my worries that he would! This is a huge area that you can save money on your food shopping. Think about it. How many times have you gone in to the supermarket, hungry, tired, feeling lazy, and gone for the quick, easy, and overpriced, option?! Ready meals are convenient but they are also unhealthy and usually significantly more expensive per portion than cooking food yourself. By using a meal plan you can shop in advance, in store or online, with a shopping list. This will help you stick to a budget and also means you will always have the ingredients for your planned dinners in. Again, as above, ready meals are expensive! Food manufacturers know that people will happily spend £6 on two ready made pizzas than consider making them themselves. I personally started cooking from scratch after I got a bread maker and a slow cooker. Now I cook from scratch almost everyday. We do still enjoy the odd takeaway, but combining meal planning and cooking from scratch has saved us a small fortune every month. Are you a lover of a takeaway?! Who isn’t. Obviously takeaways are really convenient. They are also laden with fat, grease and guilt! Who wants to really spend £20 on a dinner in a box for 2 people? Try to limit the takeaway to once a month, or perhaps on special occasions. If you are going to have a takeaway then use Zeek to buy discounted voucher codes before you order. This could save you 10%, or even more, depending on the vouchers available to purchase. The same applies for eating out. Again, limit it where you can and use Zeek if you want to save money. If you are able to visit the supermarket later in the day you may be able to find some yellow sticker items. Items are often reduced when they are about to pass their use by or best before dates. Retailers will reduce items, sometimes by as much as 90%, throughout the day. The best times to visit, for the highest reductions, are usually between 5-7pm in smaller stores and 7-9pm in larger stores. In some stores, such as Asda, I’ve seen items reduced to as low as 5p! Don’t get carried away just snapping up every yellow sticker item you see but think about how you can incorporate it into your weekly meal plan. Also, a lot of items, such as meat, can be frozen on the day of purchase. There are often identical products, with multiple packaging sizes, on sale in any one supermarket. If you have a specific brand or product that you need to buy then check the price. Look for the price per 100g or 100ml which should be displayed on the bottom of the label. You may even find that the bulk packaged items are false economy if something smaller is on a special offer. Think about how you can use up your leftovers. Mashed potato can be turned into delicious fish cakes. Leftover vegetables from the Sunday roast can make bubble & squeak. You can freeze lots of leftovers to use in future dinners too. If you have always been loyal to one supermarket then consider mixing it up. I mostly shop at Aldi, for example, but I also pop in to Sainsburys from time to time. I mostly visit Sainsburys when I just need one or two items, as it is close to home. However, I also stock up on a few items that we love, and Aldi doesn’t sell, while I am there. I have been able to save at least 30-40% off the cost of a weekly shop just by changing to Aldi. Their stores are smaller too, so I find that I am less likely to impulse buy. This is one that I mentioned above. Writing a shopping list is really important. If you are short on time then you can whip in to the supermarket, grab what you have on your list and leave. You can easily cut out visiting several aisles and hopefully spend nothing on impulse buys. With supermarkets selling so much these days it can be easy to get sucked in to looking at clothes, electrical and much more. The most profitable items for the supermarket are usually located on eye level. This is because they know that is where the average consumer will be looking. Supermarkets spend millions using eye tracking software and test consumers to find this information out. I know as I’ve taken part in such studies before! Always ensure that you are looking for the cheapest product for your requirements. This doesn’t mean that you have to buy value or basics everything but if you can move down one shelf you might just find a similar product for significantly less – sometimes just because the packaging is less fancy. Are you brand loyal when it comes to cleaning products? Take toilet bleach for example. The leading brand is usually around £1 when on offer, the one with a fancy neck for cleaning under the rim. However, many supermarkets sell an almost identical looking product, which cleans fantastically, for 30-50% less. This is a huge saving over the year, on just one product. Cleaning products are often an overlooked area. I’m not saying you should start using old newspapers instead of toilet roll, or that you should be cleaning everything with elbow grease, but there ARE great savings to be had. Often if you hold up a branded and a value product side by side, and compare the ingredients they are almost identical. In some cases the value product may have slightly more water, or slightly less expensive ingredients. This shouldn’t deter you from giving it a try as the savings are often large. This is a great way to save money on your food shopping. You don’t need to be spending hours doing this every time you shop but have a look at a couple of items per week and the savings will soon add up. If you find that you are an impulse buyer then consider online shopping. While you may still get lured in by a few fancy offers you are probably less likely to impulse buy a television, a table lamp, new cushions and a frying pan you didn’t know you needed. Supermarkets are laid out to make you want to walk around all the aisles. With online shopping you can input your shopping list and get to work. You can even sort the items by price, lowest to highest, to help you stick to a budget. Cashback websites, such as TopCashBack, and Quidco, often have offers available for new customers ordering their food shopping online. There are a whole host of fantastic apps now that are designed to help you get cash back on your shopping. Firstly you have Clicksnap, from Quidco. Then you have Shopitize. There is also CheckOutSmart. There are a whole host of others too but my favourite has to be Shopmium (iOs and Android)! What’s more, if you use my joining code, KMHMUEAV, you can get yourself some FREE CHOCOLATE! These app work by telling you about the offers they have. For example you might be told if you buy a 4 packet of yoghurts, and then photograph your receipt, that the money will be reimbursed to your account. Some of these companies have a small fee, for processing low transactions, but others, such as Shopmium, will just put the money right into your Paypal account. Usually within 1-2 days at the latest. This is a great way to pick up a few treats at shopping and get them for free effectively. We have a local market that runs twice a week. There is often a mobile butcher there, and a greengrocer. Towards the end of the day the prices get a little cheaper, as they want to shift stock. I find the quality to be fantastic, for the most part, and it is always nice to help out a local retailer or business. Our mobile butcher does offers on bulk purchases, such as 5 meals worth of meat for £15 and the greengrocer will offer bowls of fruit and vegetables for £1. Some of these are similar value to the supermarkets but some are exceptional value. I hope that you have found these tips helpful. If you save money on your food shopping, with the above tips, it is likely to be a large amount of money. As we all NEED to buy food this is one of the great areas to work on when it comes to saving money. I’m a real lover of using the above tips. Even if you was just to implement one or two tips you will be able to save a few pounds per month. My biggest tip would have to be to meal plan. This is one area where a lot of people could be more organised, save money and eat healthier too. TMS Money Making Bootcamp – Paid surveys – the best of the rest!